Solanum lycopersicum. Red Grape. 65 days. Indet. 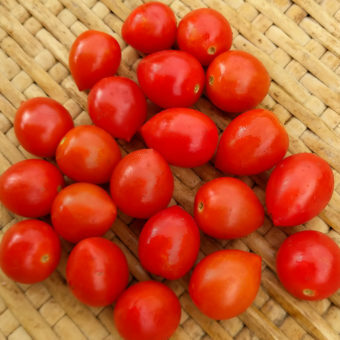 An excellent grape type tomato with early, shiny red, teardrop shaped fruit. 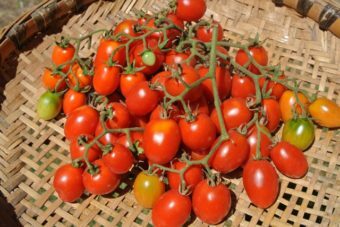 High yielding and split resistant, fruit also have a firm texture that holds quality very well. 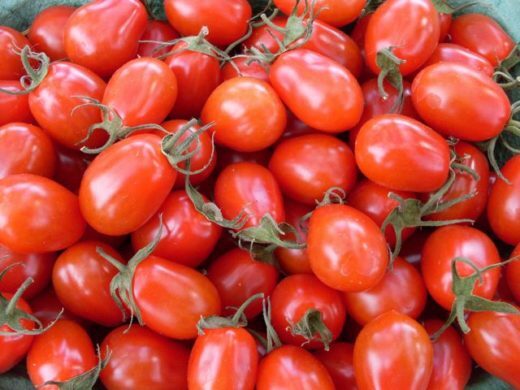 Fruit contain fewer seeds than other cherry tomatoes. 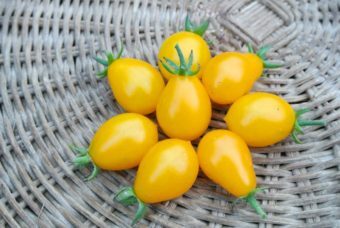 We collected this variety in 2007 from a seed saver in Denmark. Possibly selected from an English commercial hybrid of the same name.